Not surprisingly, Greeks have topped the prestigious list of the 100 most influential people in history. 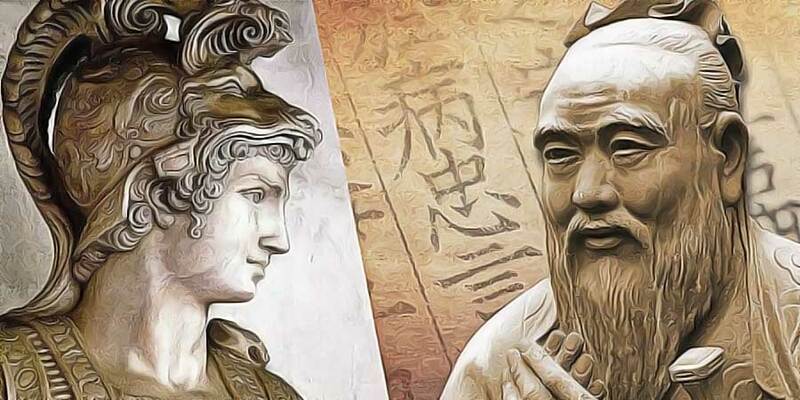 Ancient Greek philosophers Aristotle and Plato topped the list of the 100 most famous people on the planet at number 1 and 2 respectively, followed by Jesus Christ, Socrates, and Alexander the Great, according to the CEOWORLD magazine. It has collected and analysed data on cultural production from 4,000 B.C. to 2017. I must stress that in this context “influential” doesn’t necessary mean bad or good, rather those who have had the greatest impact on our life and history? Karl Marx? Jesus Christ? Einstein? Moses? Shakespeare? Magazine named Leonardo da Vinci as number six on the list, followed by Confucius, and Julius Caesar. Homer (Turkey) and Pythagoras (Greece) round out the list at nine and ten, respectively. Archimedes (Italy) took the No. 11 spot in 2017, followed by the Moses (No.12) and Muhammad (No.13). Meanwhile, Adolf Hitler ranked No. 14 in the CEOWORLD magazine’s ranking of the most influential people in history. Wolfgang Amadeus Mozart of Austria came in 15th place, followed by Shakespeare (16th), Michelangelo (17th), Augustus (18th), and Napoleon Bonaparte, ranked 19th. Out of 100 most influential people in history, Isaac Newton ranked No. 20th.